The winery: The Waldschütz winery dates back to 1784 and is situated in Elsarn, at the south slopes of the Manhartsberg, at the beginning of the Kamptal wine region (it means the valley of the river Kamp). Since 1994 Reinhard Waldschütz has been the estate’s owner and winemaker. 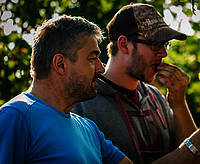 In recent years his son Markus has started to take over the wine making, with the help of his entire family. 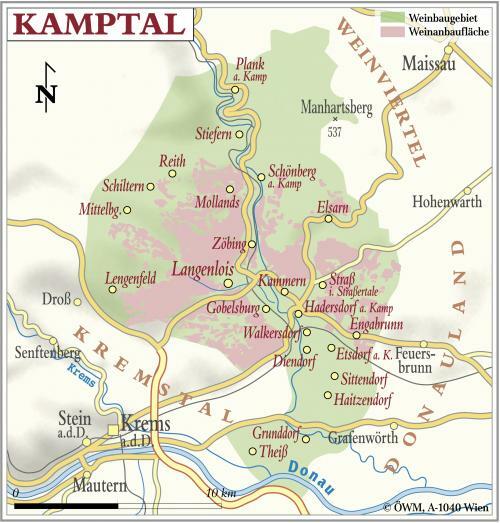 The winery’s goal is to create nature-oriented, fruity and fresh wines, so typical for the Kamptal region. Low pruning in winter, thinning and trimming are essential componentst of quality control in the vineyards. The number of vines averages 3,800 to 4,000 per hectare. The height of the trunk is a little bit shorter in order to have more foliage. The harvest usually takes place from September till November and is done by hand. Every vineyard will be harvested two to three times. Useful herbs and flowers are planted in between vine rows to maintain a natural habitat for bees and lady bugs.